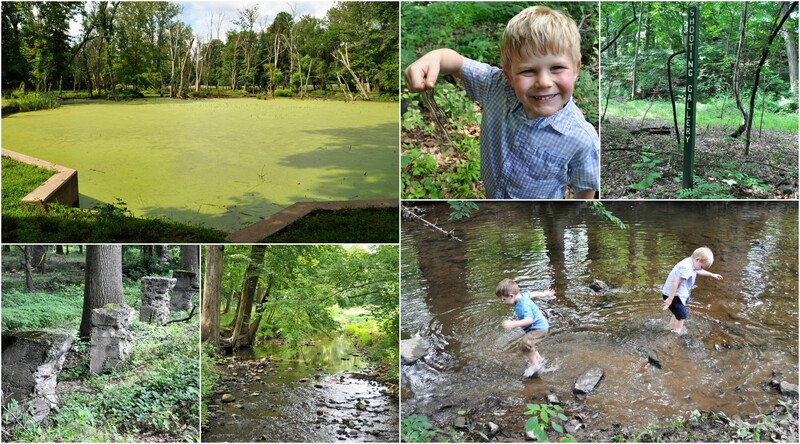 Upon initial inspection, Brandywine Springs Park is a better than average adventure location based on my criteria of playground+water feature in one place. 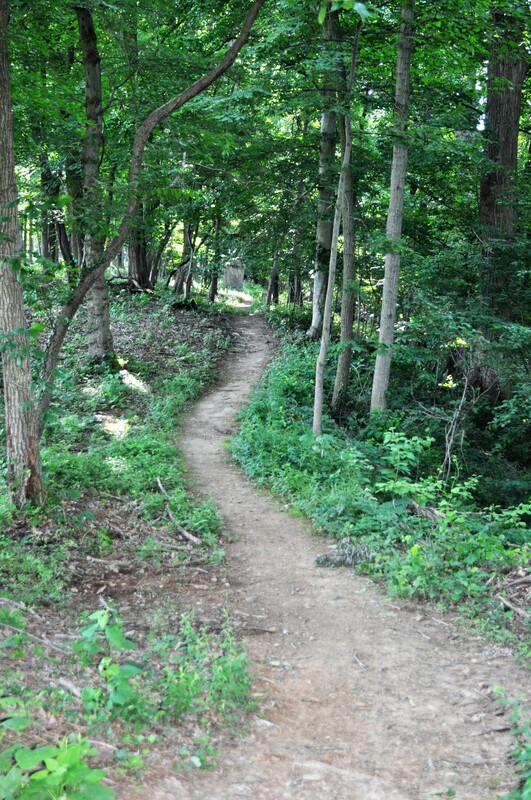 Because it’s in Northern Delaware, we got to traverse a good size hill to get from the playground to the creek. Going down wasn’t too bad. Going up left us a little out of breath. It was not a big deal other than the fact that I would not consider the trail to be stroller friendly so keep that in mind when you go. There aren’t any long trails at this park, so you really don’t need one. We really only take it with us at this point to lug all our stuff or for long hikes and tired little legs. Since we didn’t see a trail map when we started, I had no idea what we were in for so we took it and almost immediately regretted it. Anywho, I started on a train of thought when I said “upon initial inspection” at the beginning of this post because there is so much more than meets the eye when it comes to Brandywine Springs. If you are a history buff (which I am not,) or even remotely appreciate a cool story that gives you insight in to what life was like 200 years ago, then you need to read this article before you go! Apparently this very park was the place to be a long time ago, starting as a large resort hotel that marketed the mineral springs as having healing properties and then as an amusement park after the “magic” of the springs petered out. On our visit, we enjoyed seeing the remnants of the amusement park in the form of building foundations, random cement structures and posts that designate where each attraction was. In between spotting those remnants of what used to be, we flipped logs, found snakes and looked for frogs. It is just a really unique adventure location that even I was guilty of driving past for years without stopping. Aside from all that cool stuff I already told you about, there are pavilions, softball fields and a beautifully wooded picnic area that we enjoyed having a snack in complete with trash cans which are much appreciated. Many parks don’t offer them, which in turn means that people will just throw their trash on the ground rather than carry it out. 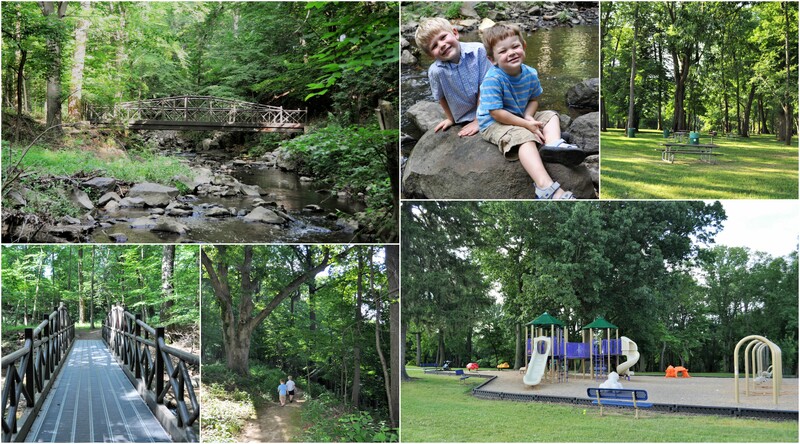 Brandywine Springs Park is an easily overlooked gem!